Ben attended the University of Windsor from 1989 to 1994 during which time he obtained his Honours Bachelor of Public Administration Degree as well as a Master's of Arts Degree in Political Science. He attended the University of Alberta Faculty of Law where he obtained his Bachelor of Law Degree in June of 1997 and was called to the Ontario Bar in February of 1999. Ben has been a very active member of his community. He was a professor at Algoma University College lecturing in political science from May to August 1997 and from September 2007 to April 2008. Ben has volunteered with a number of charitable events and organizations including the Sault Areas Hospital Foundation the Homecoming Festival Committee, the Ontario Special Olympics, the Sault Ste. Marie CAT scanner campaign and has participated in the Easter Seals Telethon. Ben was much honoured to receive the Volunteer of the Year Award from the Sault Ste. Marie Chamber of Commerce at their 2006 Annual Meeting and Business Awards Luncheon. Ben is very involved in the community’s efforts to improve the business climate and economic development in the community and most notably in his involvement with the Sault Ste. Marie Chamber of Commerce having served as President of the Chamber from June 2002 to July 2003 and Past President from July 2003 to June 2005. Ben was also on the Board of Directors of Rapids Success Business Growth Inc., the global industrial marketing strategy committee, and the Economic Development Corporation of Sault Ste. Marie. Ben is a post member of the International Joint Relations Committee (a committee formed of civic and business leaders between Sault Ste. Marie Ontario and Sault Ste. Marie (Michigan) and a past member of the board of directors of Kiwanis Community Theater Centre Management Board. Ben is also currently a member of the Downtown Rotary Club of Sault Ste. Marie, and a past member of the local chapter of the Canadian Italian Business and Professional Association. Ben was a member of the 2007 United Way Fundraiser Cabinet. Ben is a past member of the Destiny Steering Committee, a committee of leaders from the community responsible for overseeing and coordinating the implementation of the City’s Economic Strategic Plan. Ben is also a past member and chair of the Board of Governors of Sault College, one of Ontario’s long standing community colleges and a key post-secondary educational institution in Northern Ontario. Ben also supports a number of organizations pertaining to his chosen profession and is a member of the Algoma District Law Association and a past member of the Canadian Italian Advocates Association, the Canadian Bar Association, and the Canadian Corporate Counsel Association. As a practicing lawyer Ben is also a member of the Law Society of Upper Canada. Ben is married to Joanne Gaetz and they have a daughter Vanessa and a son Matteo. It is my firm belief that I have an obligation to give back to my community, since it is the people and businesses of the Sault that have supported me. In March of 2015, Ben was appointment by the Province of Ontario to the Ontario Film Review Board, now administered by the Ontario Film Authority. Peter attended the University of Windsor where he obtained his Honours Bachelor of Arts Degree in Political Science in 1994. He attended the University of Windsor Faculty of Law where he obtained his Bachelor of Law Degree in 1997 and was called to the Ontario Bar in February 1999. Peter is a Chair/Governor on the Sault College of Applied Arts and Technology Board of Governors. Peter is a member of the Rotary Club of Sault Ste. Marie North and a Board Member of Villa Santa Maria. Peter is a past Board Member of the Sault Ste. Marie and 49th Field Regiment R.C.A. Historical Society, the C.I.B.P.A, the Sault Ste. Marie Panning Advisory Committee and the Sault Ste. Marie Chamber of Commerce. 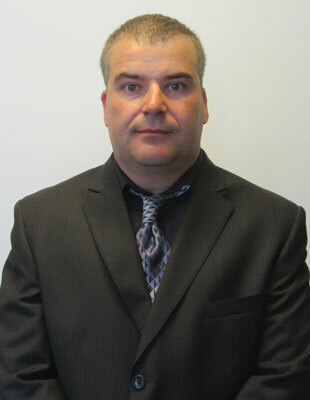 Peter is the Ministry of Transportation Agent Prosecutor for the Sault Ste. Marie and Blind River, Ontario. Peter also has been and is currently a minor hockey coach and Sault Youth Soccer League coach. 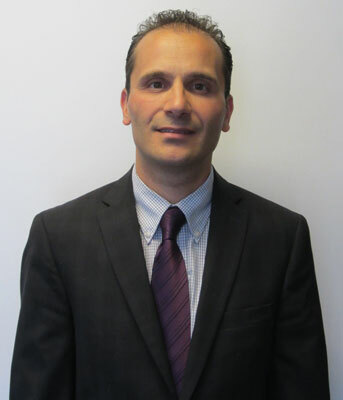 Peter is able to provide services in the Italian language.